The course meal includes seasoned ark shells with a wasabi dressing, shrimps and caviar cooked with katsuo broth, tamagoyaki with cream and shrimps and bacon-wrapped asparagus with teriyaki sauce. 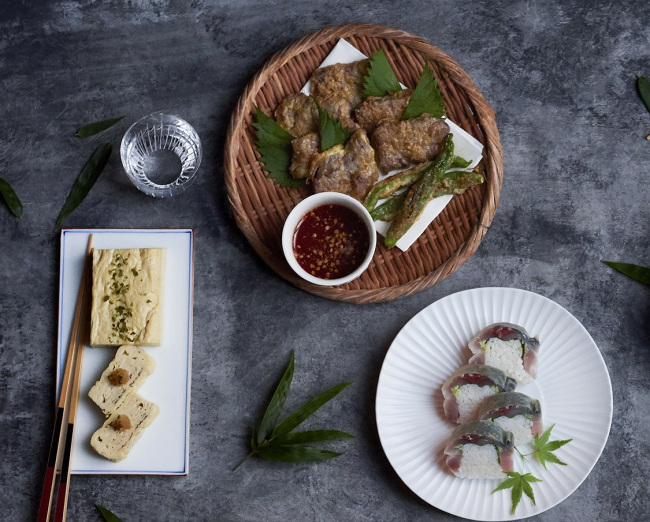 Other dishes include kushiyaki, yukjeon and empanadas. Japanese-style shellfish noodles are prepared as the main dish with Manila clams, spicy udon dashi and vegetables. Desserts include white chocolate and Pepero. For reservation and inquiry, call The Timber House (02) 2016-1291 or Park Hyatt Seoul (02) 2016-1234. 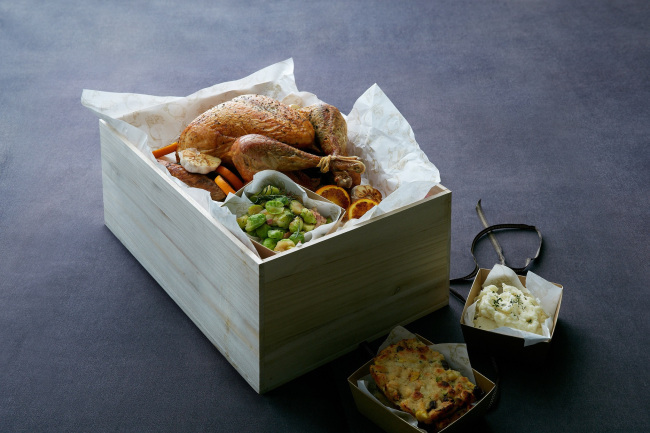 Grand Hyatt Seoul is offering a Thanksgiving take-out menu of roasted turkey and pastries from Nov. 18 through the end of the month. The turkey comes with mashed potatoes, gravy, Brussels sprouts and stuffing, alongside honey glazed ham, a cinnamon pound cake or pumpkin pie. The turkeys vary in price from 110,000 won to 212,000 won depending on the weight. Pies and cakes range from 30,000 won to 42,000 won. Ordering a roast turkey requires prior reservation. For reservation and inquiry, call the Deli at (02) 799-8167. Grand Hyatt Incheon is offering an all-inclusive package of one-night accommodation, buffet breakfast and dinner for two and free access to swimming pools, a sauna and fitness center through Dec. 9. Children under 12 years of age accompanied by their parents will also be offered free meals. 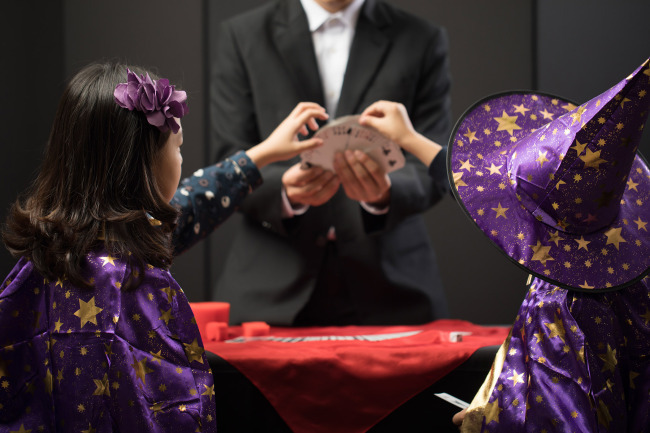 Children can participate in a magic class every Saturday coached by a professional magician, where they will learn various magic tricks. The price starts from 319,000 won. For reservation and information, call (032) 745-1000 or visit incheon.grand.hyatt.com. 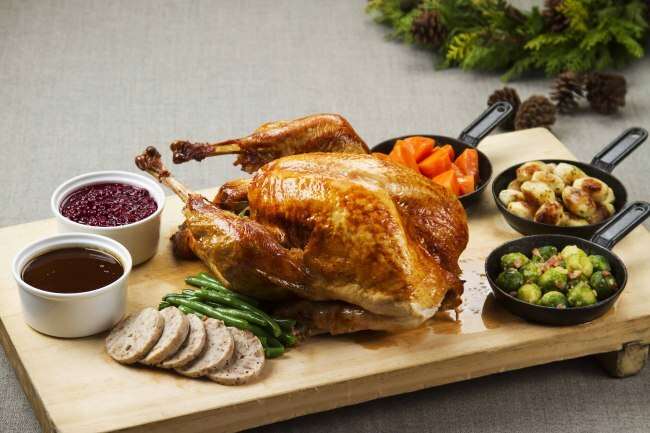 Westin Chosun Seoul’s Italian Bistro is offering Australian whole roast turkey and US prime ribs for Thanksgiving and year-end parties from Nov. 13 through Dec. 31. The roast turkeys weigh between 7 and 8 kilograms and come with chestnut stuffing, mashed potato, gravy and cranberry sauce. The prime ribs are prepared with peppercorn sauce. Resevations should be made at least three days in advance. The take-out prices are 275,000 won for a 7-kg turkey, 297,000 won for an 8-kg turkey and 720,000 won for 7 kg of prime ribs. Side dishes such as roasted sweet potato with maple syrup, herbed roasted potato, sauteed carrots and broccoli with almond butter cost 20,000 won each. Apple pie, pumpkin pie and pecan pie cost 39,000 won each. For reservation and inquiry, call (02) 317-0033. 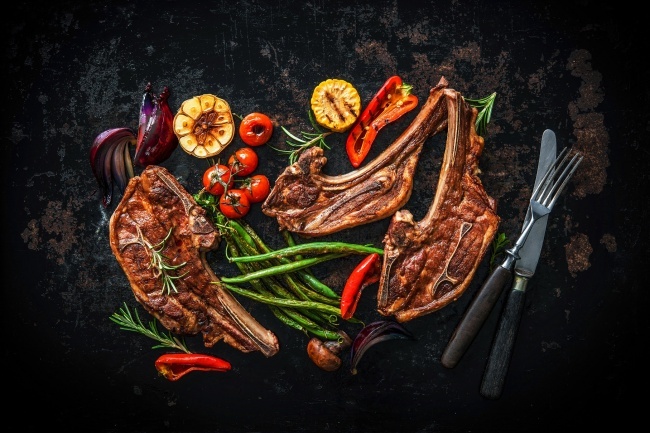 Millennium Seoul Hilton’s Italian restaurant Il Ponte is offering a lamb promotion throughout November. The five-course menu, which is available for both lunch and dinner, starts with a garden green salad with shrimps and micro leaves. Next comes green asparagus cream soup with truffle-flavored parsley and garlic croutons, followed by lamb and thyme ravioli with truffle cream sauce. The main course is a grilled lamb rack with pistachio and Grana Padano crust, served with butter-poached baby vegetables. Desserts are tiramisu and fresh fruits. The course meal is priced at 105,000 won per person. Il Ponte serves authentic pizzas and pastas, as well as Italian and international wines. For reservation and inquiry, call Il Ponte at (02) 317-3270.